Listed below is an update on some families we have been helping since our last report in October. Three year old Ally was diagnosed with Neuroblastoma in March 2018. She bravely underwent surgery and a course of chemotherapy that was not successful. Her team at Penn State Health Children’s Hospital offered a new treatment plan of anti-body therapy and reevaluation. While all of this transpired, Ally’s stay at home mom was overwhelmed by her sick child’s treatment, in addition to the problem of caring for two other children, one younger and one older. The Foundation paid several months’ of mortgage payments so dad could take some time off work, enabling him to be more actively involved in his daughters’ care. Jonathan, a fourteen year old high school freshman, was diagnosed with T-cell lymphoblastic lymphoma in April 2018. He was initially admitted to the PICU at Penn State Health Children’s Hospital due to cardiac arrest from the large mass in his chest. Once his diagnosis was confirmed and chemotherapy began, Jonathan made excellent progress. It is expected his treatment will last about two and a half years. Jonathan’s single mom initially took FMLA from her position as an MRI technician but eventually lost her job. The Foundation has been helping with her mortgage during this difficult period for the family. Evan’s family has had quite a journey, literally, since his diagnosis in Florida in July 2017 disclosed a case of acute lymphoblastic leukemia. The eight year old, who also has Down’s syndrome, and his family decided to relocate to Pennsylvania to be near family while chemotherapy is ongoing. Prior to the move, dad, along with mom and three siblings, thought he had a job and a rent-to-own home awaiting their arrival. Neither the job nor the home was available when they arrived in Pennsylvania with very little money and no prospects. Their social worker at Hershey got the family some assistance from another foundation to stay in a hotel until more permanent arrangements could be made. When a home was found, the Foundation paid the security deposit and several months’ rent for the family. Usually, we receive referrals from the pediatric oncology social workers at the hospitals in our area. Sometimes, though, we get involved with a family by a different route. Nataleigh’s family was mentioned to us by one of our supporters. We asked the family to contact us and then we contacted their social worker to get the information we need. The thirteen year old was diagnosed with choriocarcinoma of the ovary in June 2018 and is being treated with chemotherapy at Johns Hopkins in Baltimore. The family could manage finances over the summer while dad, a teacher, was at home on vacation. When he returned to school in the fall, the Foundation assisted with several mortgage payments so mom could continue to take time off, without pay, to support her daughter. Martin’s family has been on a wild ride since his diagnosis in April with b-cell lymphoblastic leukemia. The three year old has been undergoing an intensive chemotherapy regimen with treatment expected to continue for three and a half years. In addition to all this for mom and dad and an older sister, Martin’s family welcomed a new baby in October! While mom has always been, and continues to be, a stay at home mom, dad has had to reduce his workload to about 60% to accommodate Martin’s complex treatment schedule. Since the diagnosis, the family also moved to a new home. Dad hopes to get back to a normal work schedule, after the New Year, so the Foundation is helping with mortgage payments until the end of 2018. 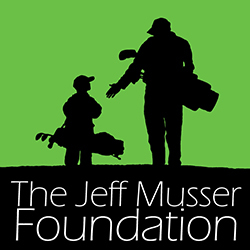 This year, we expect to assist more than 70 families in our area, an all-time high for the Jeff Musser Foundation! Needless to say, we could not have kept pace with the increase in activity without the continued support you provide. However, this pace also challenges us to keep a balance of funds readily available to assist these families, so please keep us in mind during your year-end giving. The generosity and caring of our supporters is a source of amazement for all of us. We thank you for supporting numerous events this year, both large and small that helped raise funds for the Foundation. On behalf of all the families you have helped this year; we wish you a blessed holiday and a happy and healthy new year!